Now I want to try their Red Bean Green Tea Frappuccino just to be adventurous for the day. Knowing me, I always chose the flavors that are on the safe side (aka familiar to me). Gotta ask my brother to print this voucher. 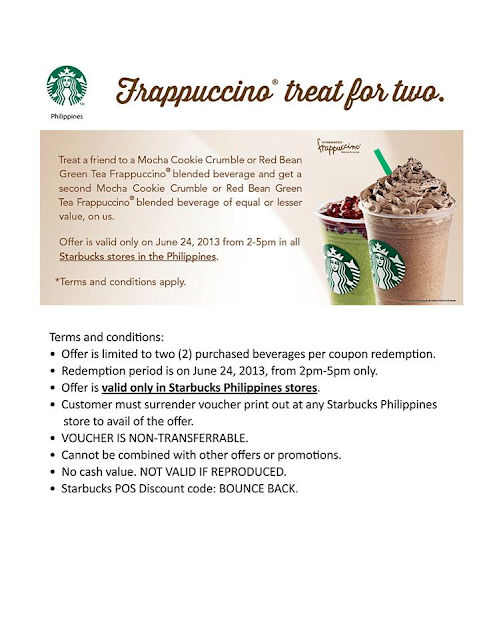 I bet a lot of people will troop to Starbucks for this Buy 1 Take 1 promo and I can't blame them.